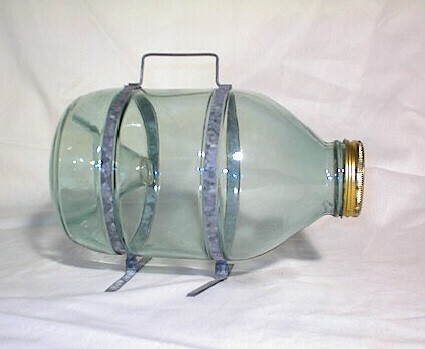 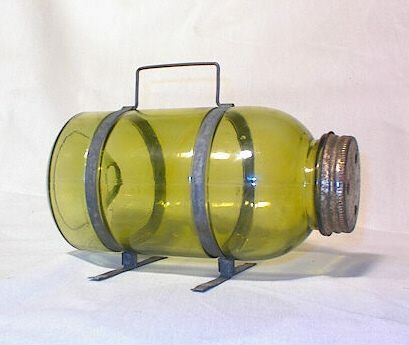 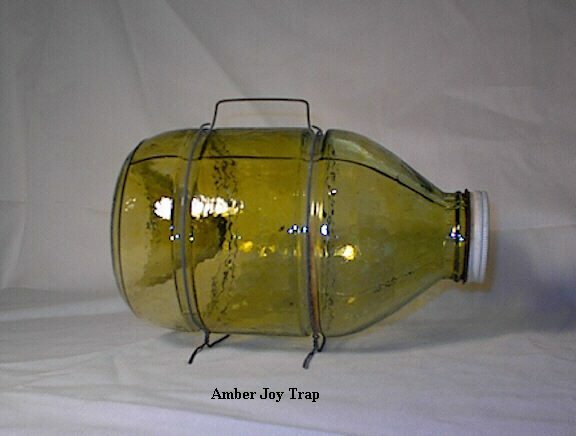 The Joy minnow traps were made originally by the Witherspoon-Simpson Glass Company in Fort Smith, Arkansas in about 1934. 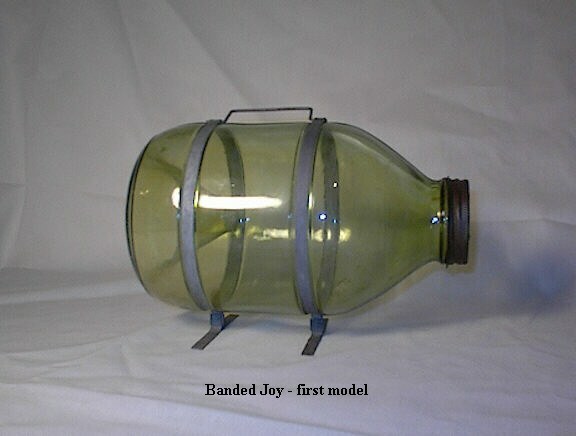 The Johnson Glass Company began producing them later, around 1937(?). 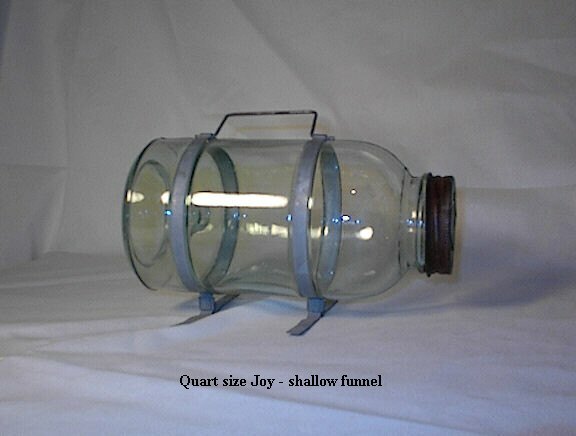 There were two sizes produced, a small quart size, and a gallon size. 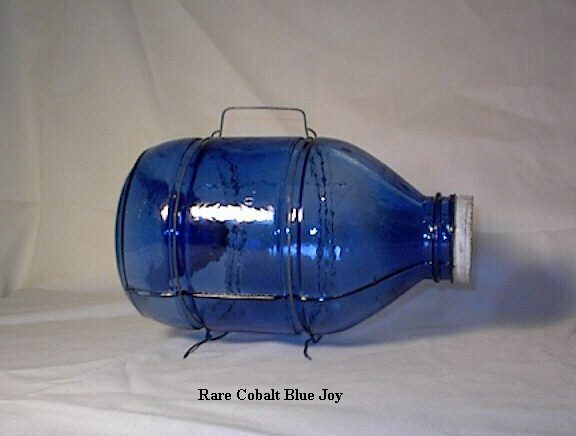 Originally produced with galvanized metal bands, many were made with a wire frame and handle in later years. 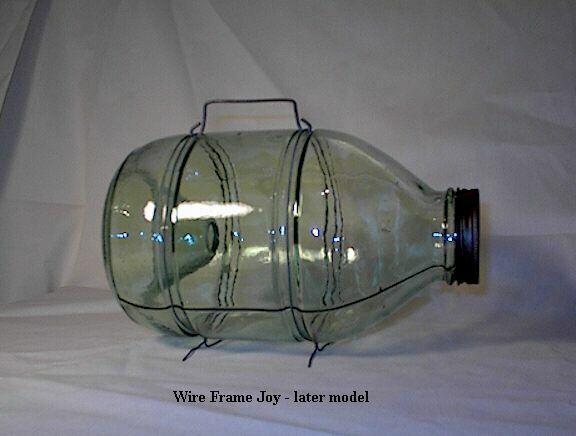 Both the banded and wire frame models were found in tackle stores well into the '60s. 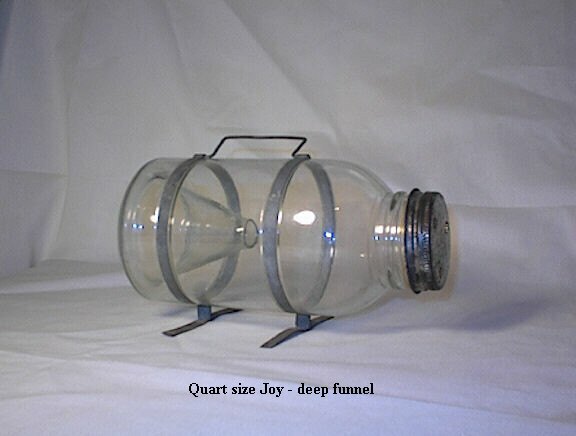 The small and large versions were available from the Montgomery Ward catalog and other retailers.